When the health and happiness of your pet are at stake, why settle for anything but the best? With an underground electronic pet fencing system installed by your local pet fencing experts at Dawg Fence, you can be confident that you are getting the best. Doubtless,I wouldn’t have it any other way! As a fellow pet lover, I understand how important is your pet’s well-being for you. After all, pets are members of our families. Generally speaking, my goal is providing the most technologically advanced, customizable, and user-friendly electronic pet fencing products available on the market! 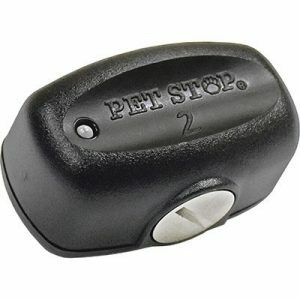 This is exactly what Pet Stop® offers. And that’s why I’m a proud Pet Stop® dealer. Nowadays more and more companies do overseas manufacturing. In this respect, the electronic pet fencing industry is not an exception. 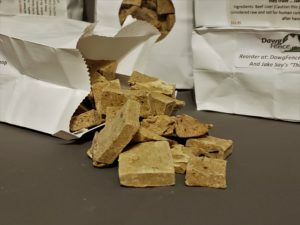 The end result is a product that, while seemingly more affordable, can often be of lower quality and less reliable. We should never forget that your pet’s health and safety is the most important factor. Therefore, you need a product that know is going to work properly and last a long time. 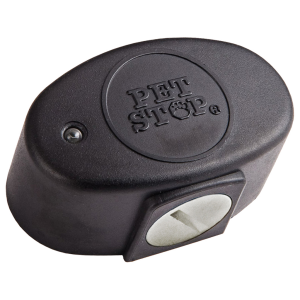 That’s why Pet Stop® is the ONLY electric pet fence system company that has not outsourced. All of our electronic dog fencing products are designed and manufactured in the USA and are built and tested under one roof in Reading, PA! By keeping production here, we’ve ensured product quality and safety. Our products are made by fellow pet lovers who want to make sure that by buying a Pet Stop® fencing system, you’re getting the best product! Keeping your pet safe and secure is our #1 priority. All things considered, we’re confident that our top-grade, technologically advanced products are the best choice for you and your pet! Jake wants you to know that he’s concerned your canine companions are not getting the treats they deserve. So, he decided to bring back his favorites and hope you see the benefits. 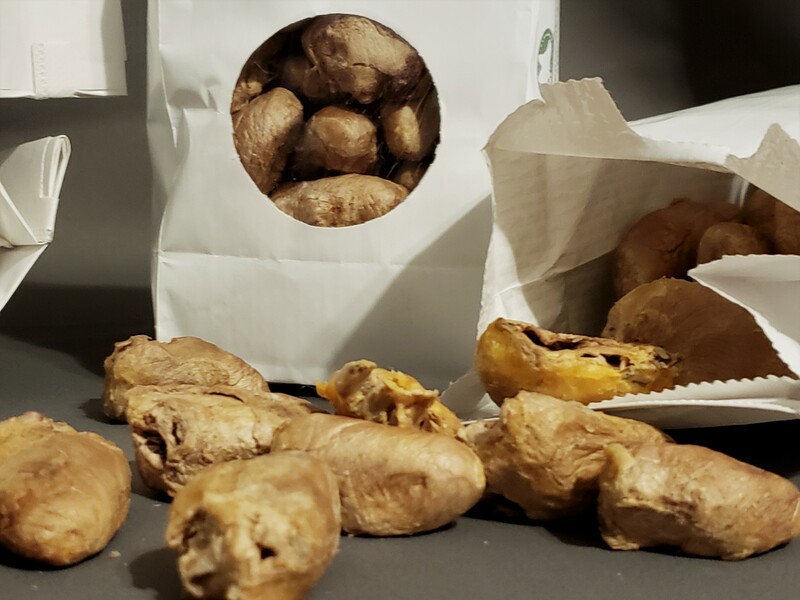 No chemicals, no preservatives, no fillers, no meal … look that up and cringe. Jake doesn’t understand why anyone would buy products for their dogs from overseas manufacturers. It makes no sense when he’s offering you something healthy at a price you’ll not find anywhere else. Now there’s Link™, an amazing breakthrough in pet fencing. 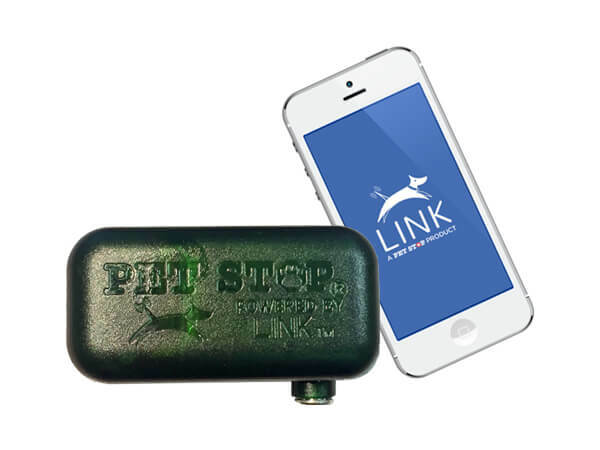 With Link™ you’ll have access to real-time information at your fingertips and so will I and even the manufacturer! You’ll not be abandoned … ever! Information like letting you know the collar needs to be charged or prompting you to making an adjustment to the over 1000 available settings. Link™ gives you a nite lite, remote training capabilities, and direct contact to the engineers for feedback and to ask questions directly to those responsible. It tells you how many times your pup tests the system or is to be corrected. It’s just really cool. 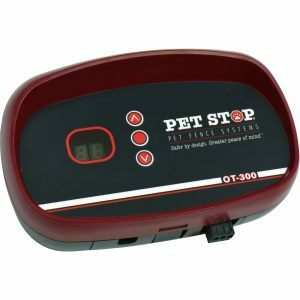 For over a decade Pet Stop has been the leader in technology, providing more custom settings to individualize their products more than any other manufacturer in the industry. That’s just a fact. 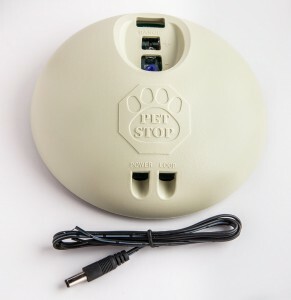 The EcoLite HO Rechargeable receiver is Pet Stop’s latest creation. With its built-in rechargeable battery, the EcoLite HO eliminates the need for wasteful batteries and annual battery costs. If you’re thinking of going green, the EcoLite HO is the perfect pet fencing receiver collar for you! 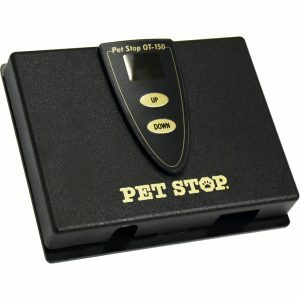 Also, with the diagnostic charging cradle, you know of any issues with the receiver even before your pet does! Any feature you may admire on another system can all be found right here in the Ecolite HO. Comes with the industries best UltraCare Lifetime Warranty. is perfect for the family dog that plays hard. 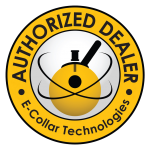 Like all of our products, this receiver collar comes loaded with patented features. And among them our FlashAlert feature and Comfort Contacts. The UltraElite is a Pet Stop® classic – designed to go hand-in-hand with our Gentlesteps™ training. This receiver is extremely user-friendly and can be customized to what best suits the characteristics of your pet’s personality. At the same time, the UltraElite comes loaded with several patented features, including our FlashAlert™ low battery warning light. This product is perfect for pet owners on a tight budget. 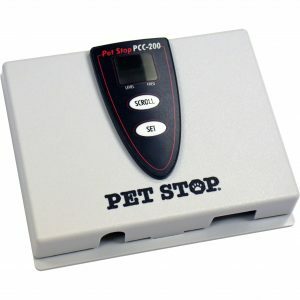 The PCC_200 receiver collar might not have as many features or customization options as our other receiver collars, but it still comes backed by Pet Stop’s quality guarantee. It is a safe, reliable way to keep your pet safely contained. 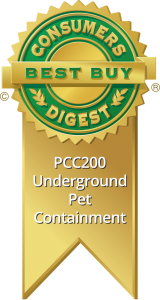 Not to mention, it received the Best Buy award from Consumer Digest! If this product gets an award just imagine what the top line products can do! Our most advanced outdoor transmitter, the OT-300 has improved built-in lightning protection, an upgraded user-friendly system, and Stabilitemp, designed to keep the fence signal steady and strong. Thus, it never matters what is the weather outside. OT-300 is designed to work flawlessly with our GentleSteps™ training method as well as other electronic fencing brands, like Invisible Fence®. The OT-150 with UltraCare Warrantyis my favorite product, with no need to spend extra! It is streamlined, sleek, user friendly, and easy to program. 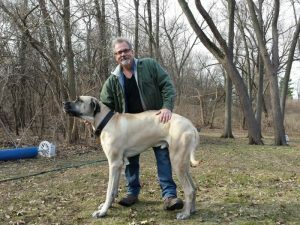 Besides, it has thousands of settings available and is designed to work with our GentleSteps™ training program, as well as other underground pet fencing brands, like Invisible Fence®. The OT-150 comes with a two year warranty version to save you even more. The PCC_200 is our most basic transmitter. It has less features, but at the same time is reliable as our other products are. 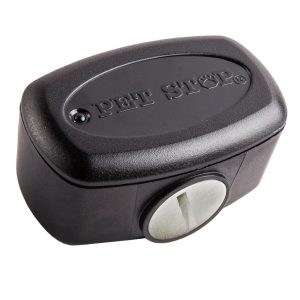 The PCC-200 may not be compatible with other fencing brands and is not compatible with our GentleSteps™ training method. It comes with a Consumers Digest Best Buy award! Who says pet fencing can only be outdoors? 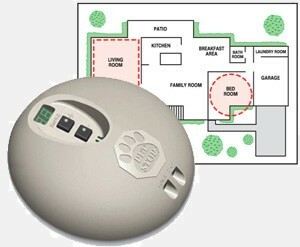 With our Roomwizard™, you can make entire rooms off-limits to your pets, or target zones down to just a few square feet! In fact, whether you want to keep Fido away from the trash can or Fluffy away from the antique china cabinet, we have an indoor pet containment solution available. 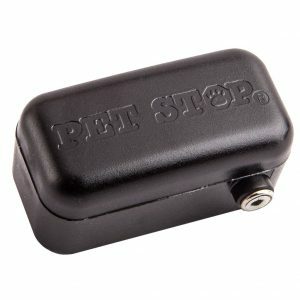 Though still awaiting a make-over the battery-powered solution is ideal for areas where locating a power outlet is difficult or no outlets are present. The IT-Battery can be used outside in a waterproof enclosure to establish a boundary around gardens and flowerbeds. 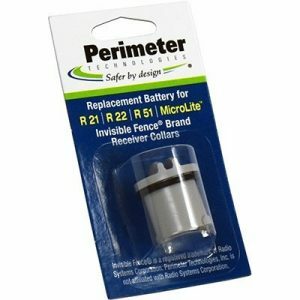 These Perimeter Technologies® Invisible Fence® compatible batteries were designed to work with the Invisible Fence® R21,R22, R51 and Microlite receiver collars. 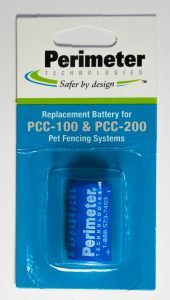 Manufactured in the USA and with the same quality standards as all Perimeter Technologies® products, these batteries not only meet Invisible Fence® OEM standards but exceed them. Available to ship nationwide!